The University of Architecture and Urbanism celebrated on 2012 its 120th anniversary in an event that highlighted the tradition, the performance and the innovation of Romania’s most prominent school of architecture. Romanian Convention of Architecture and Design gathered over 1600 architects, designers and students willing to listen to the 16 speakers – awarded architects, creators of landmark buildings around the world or prestigious professors. Among these: Eduardo Souto de Moura (Pritzker Prize recipient on 2011); Mario Botta, Carlos Ott, Gaetano Pesce, Matias del Campo, David Gloster, Gottfried Bohm (Pritzker Prize recipient on 1986), represented by his son Peter Bohm. On 2013, architects and designers from Romania and South-East Europe will be able to attend the two ceremonies of awarding Doctor Honoris Causa to Mr Daniel Libeskind (USA) and Mr Dominique Perrault (France). The two guests will deliver unique presentations based on their most challenging experiences within world architecture competitions. Other guests are: Masayuki Kurokawa (Japan), Andreas Vogler (Switzerland), Arturo Vittori (Italy), Miguel Baudizzone (Argentina), Brian Spencer (USA), Benedetta Tagliabue (Spain), Phil Ayres (Denmark), Peter Blundell Jones (UK). Romanian Convention of Architecture and Design (ROCAD) also host two exhibitions, displayed for the first time in this region of Europe: “The Heritage of Frank Lloyd Wright” – curator Brian Spencer; “From Pyramids to Spacecrafts” – curators: Andreas Vogler and Arturo Vittori. 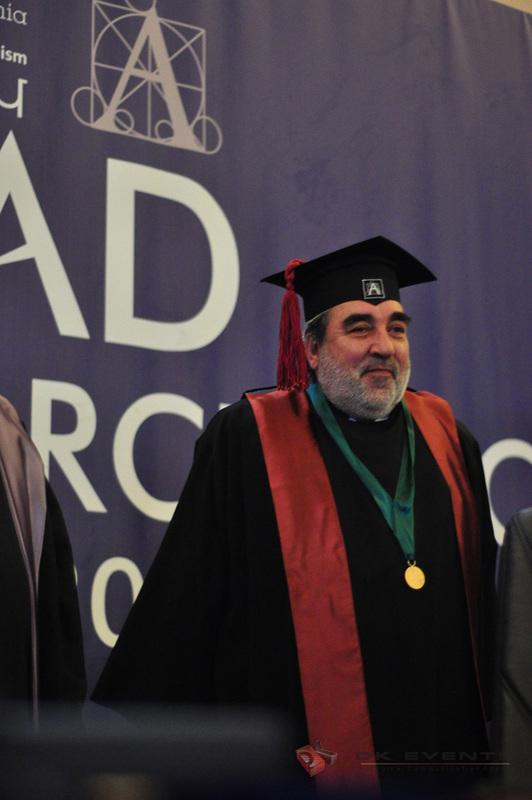 At ROCAD 2012 Mr. Gottfried Böhm (winner of The Pritzker Prize in 1986) and Mr. Eduardo Souto de Moura (winner of The Pritzer Prize in 2011) were Main Speakers. International architecture contest for the urban public space Archetypes – winners announced in Bucharest, at the Palace of Patriarchate. March 5, 2013 in Events.